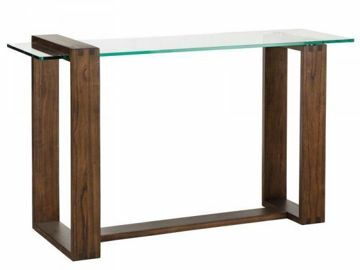 In a striking modern example of mixed materials, the Bristow End Table creates chic sophistication. 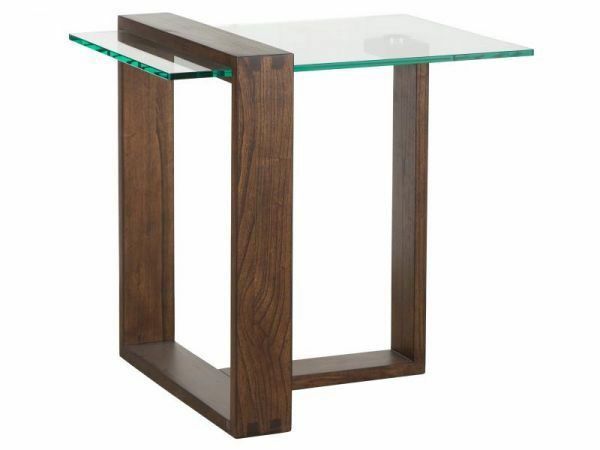 The smooth, sleek glass top is supported by Acorn finished Mindi wood interlocking rectangles and punctuated with chrome metal pucks. 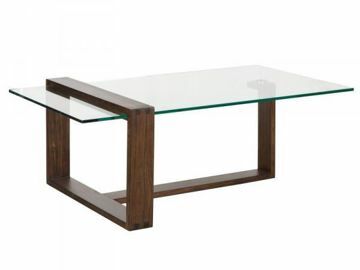 A chunky wood rectangle overlaps the top at one end as the other understated rectangle base rests underneath on this conversation worthy end table - a geometric appeal that delightfully complements contemporary living spaces.